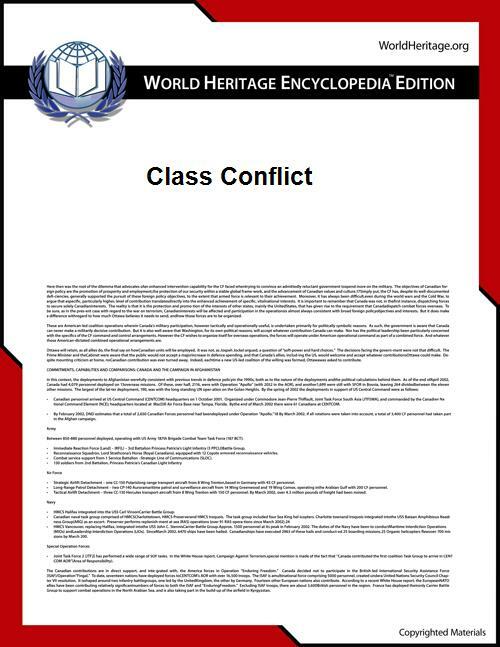 Class conflict can take many different forms: direct violence, such as wars fought for resources and cheap labor; indirect violence, such as deaths from poverty, starvation, illness or unsafe working conditions; coercion, such as the threat of losing a job or pulling an important investment; or ideology, either intentionally (as with books and articles promoting capitalism) . Additionally, political forms of class conflict exist; legally or illegally lobbying or bribing government leaders for passage of partisan desirable legislation including labor laws, tax codes, consumer laws, acts of congress or other sanction, injunction or tariff. 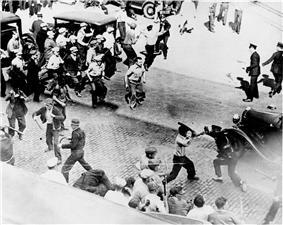 The conflict can be direct, as with a lockout aimed at destroying a labor union, or indirect, as with an informal slowdown in production protesting low wages by workers or unfair labor practices by capital. 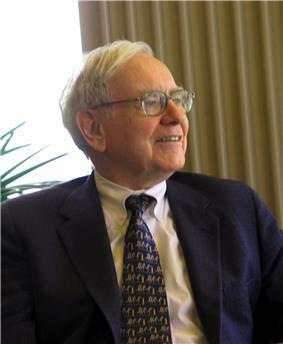 Billionaire and friend to Warren Buffett, hedge fund managers call this class warfare because they don't like to pay more taxes." 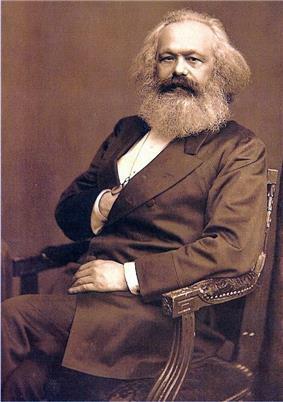 Karl Marx (1818–1883) was a German born philosopher who lived the majority of his adult life in London, England. In The Communist Manifesto, Karl Marx argued that a Social class is formed when its members achieve class consciousness and solidarity. This largely happens when the members of a class become aware of their exploitation and the conflict with another class. A class will then realize their shared interests and a common identity. 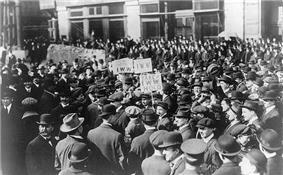 According to Marx, a class will then take action against those that are exploiting the lower classes. Social commentators, historians and socialist theorists had commented on class struggle for some time before Marx, as well as the connection between class struggle, property, and law: economic rent) for landowners. According to the historian Arnold Toynbee, stratification along lines of class appears only within civilizations, and furthermore only appears during the process of a civilization's decline while not characterizing the growth phase of a civilization. Consistent with its internationalist perspective Orthodox Marxism, and most left tendencies, reject racism, sexism, etc. as struggles within the capitalist order which are distractions from class struggle, the real conflict, which prevent the purported antagonists from acting in their common class interest.